Alex Overstrom is confident that he can keep growing PNC Aviation Finance. For the last few years one of Alex Overstrom’s favourite vacation activities has been taking his kids to Vero Beach Airport to watch aircraft take-off and land. Now, as head of PNC Aviation Finance, he gets to do this at work as well. “I’ve always loved planes, so it is fantastic to combine a passion for aircraft with my background in finance,” said Overstrom. At PNC since 2014, Overstrom has moved to head of PNC Aviation Finance after serving as chief operating officer for PNC Corporate and Institutional Banking, where he was responsible for a broad range of areas across the bank’s wholesale banking teams. Before PNC, Overstrom spent eight years with Goldman Sachs in investment banking and strategy. Overstrom was joined in January 2017 by Keith Hayes, a new hire to PNC who formerly led GE’s Corporate Aircraft Finance sales team. Hayes replaces Wayne Starling as Head of National Sales; Starling retired in May after 40 years in finance (his farewell letter is below). All financial institutions market themselves as being different to their competitors, but PNC Aviation has a bigger claim than most. The bank offers genuine asset-based finance. All aircraft finance is asset-based, but PNC Aviation Finance does not require corporate or personal guarantees for its asset-based product (although some borrowers do this in return for a lower interest rate). PNC Aviation Finance has a simple process and is prepared to underwrite loans purely based on the asset – so some deals have no or very little financial disclosure. 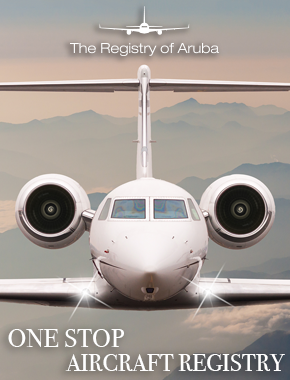 It is also prepared to offer loans or leases covering 100% of the aircraft’s value for clients that provide guarantees. Borrowers love these products. 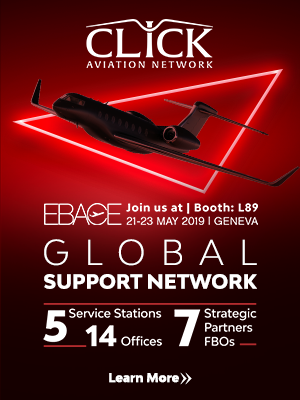 Just as importantly, PNC Aviation Finance – which is a subsidiary of the fifth largest US bank based on deposits – has also been able to demonstrate the strength of its portfolio to regulators. PNC’s advantage is that it has been offering this asset-based product since the late 1990s, and so it has the data. The bank still had customers in trouble in 2009, but the portfolio performed as expected, and the bank stayed open for business, rapidly growing its portfolio (corporate aircraft is the biggest asset class for PNC Equipment Finance). Historically, PNC’s polo-shirt wearing sales team (another differentiator from most banks) has targeted smaller aircraft buyers, with many customers calling the bank after being referred by their friends. Now it also wants to finance larger aircraft. The hiring of Hayes and Jeff Dunn, a new dedicated head of aviation asset management, are part of that strategy. “Keith – with his long-time experience at GE – brings significant experience in leasing and large cabin aircraft finance, while Jeff gives us an even greater technical expertise in valuation and residual setting,” said Overstrom. Overstrom stresses that PNC Aviation Finance’s success comes from its experienced team of over 35 people dedicated exclusively to aviation finance. 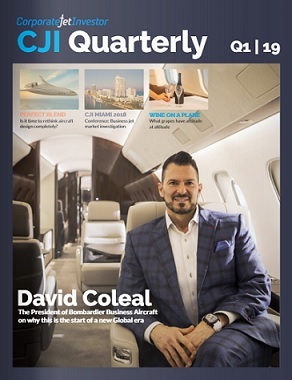 PNC is not expecting the new business jet market to improve, but Overstrom says that the expansion of this business towards larger jets means that the division will keep growing. The larger it grows, the more likely his kids will be spotting aircraft financed by his bank. As I get ready to bid farewell to PNC Aviation Finance, I am often asked the secret to my success. I always give credit to my industry relationships, beginning way back to my time when we were Aviation Finance Group. When I started in the aviation business, there were 10 well-known lenders in the industry. As a start-up, we were definitely not one of them. We had a great product, but it was unique and people were hesitant to change. It was difficult to hire experienced loan officers and I was certainly naïve as to how long it would take to get accepted in the industry. However, if I had learned one thing from my previous career, it was that anything worth having would be worth working for! Our big break came when PNC bought our loan portfolio, truly opening the doors of opportunity. Still though, it was going to take time to earn our wings, build relationships and again prove our place in the industry. We still had strong and very formidable competition. Then the market crash of 2008. It felt as though the air had been sucked out of the room, signaling the beginning of the end for some lenders. Out of this horrible time came prime opportunity for PNC Aviation Finance, thanks primarily to our strong credit and operations teams. They held our entire sales team to strict lending standards and the industry quickly learned we were still open for business and had money we were willing and able to lend. As a result, in 2009, PNC Aviation took the title of leader in the number of corporate aircraft loans funded in the U.S. and never looked back. I take great pride in the accomplishments PNC Aviation Finance has made. I am humbled by the fact that I was just one person within this great team. Many have played critical roles in our achievements and I sincerely thank each and every single one of them. One of my core beliefs has always been that if you are going to be in the game, be in the game totally – don’t leave anything on the table. Get out of the bleachers and onto the playing field. In the end, it is all about the relationships that you build in this great aviation industry. Instead of worrying about how to slice up the pie, let’s work together to bake a bigger pie.